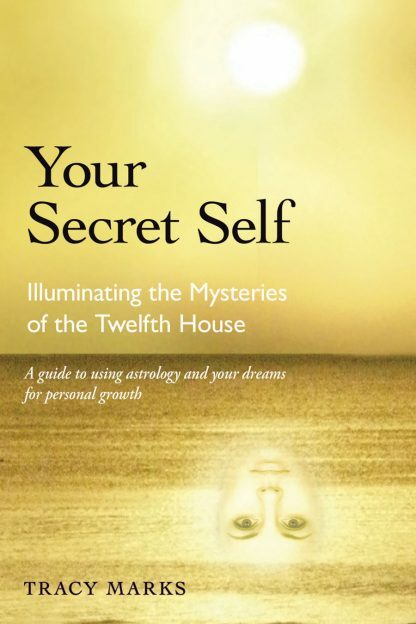 Red Wheel ∕ Weiser Online Bookstore | Your Secret Self: Illuminating the Mysteries of the Twelfth House by Tracy Marks, M.A. The Twelfth House in astrology is home to creative inspiration, spirituality, and compassion. It is also where we will find our demons: self-defeating patterns, escapism and the most hidden parts of our shadow self. Tracy Marks provides penetrating insights into the inner workings of both the hidden weaknesses and strengths of the Twelfth House, and provides practical and easy-to-use worksheets to support the process. Part I explores the profile and meanings of the Hidden wisdom of the 12th house and the influences and patterns that is contained therein. Part II The Twelfth House Planets and Signs by rulers and placements and their meaning. Part III The Psychodynamics of the Twelfth House�its conflicts and process of Integration and Liberation and the deeper psychological exploration of the process and content. Part IV Self Transformation through dreamwork and the dream experience using case studies. Part V The Collective Shadow, focusing on the Twelfth Houses of the United States.